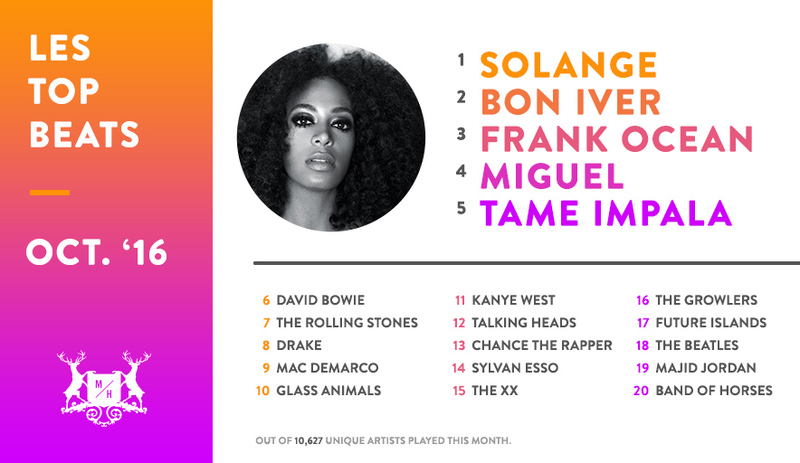 1 – Solange Does the table hold 85+? Because the entire agency would obviously like a seat there. 3 – Frank Ocean, hallowed be thy name. This is the second month in a row you’ve captured our hearts and delighted our ears. 4 – Miguel Don’t stop, we definitely want to ride that sound wave. We know what the other wave means. Stop being dirty, Miguel. 5 – Tame Impala Their music has never come on and I’m like, “THAT’S MY JAM!” Apparently, other people in this office feel differently.